If you're looking for pretty patterns to spruce up your blog or Twitter page, check out these watercolor seamless backgrounds from August Empress. Get circles and squares, a chevron pattern, a floral print, and more. Images are for personal use only; contact August Empress if you have any usage questions. 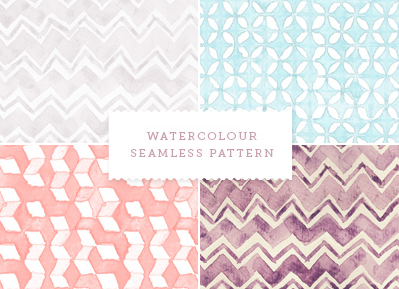 You have read this article downloads / resources with the title Seamless watercolor patterns. You can bookmark this page URL http://jenkrebs.blogspot.com/2012/04/seamless-watercolor-patterns.html. Thanks! No comment for "Seamless watercolor patterns"